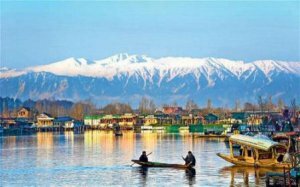 Are looking for Cheapest Tour Packages for Kashmir? No worries Pala Holidays brings you 4 days cheap Kashmir tour package priced at Rs. 6800.00/Only per person including Hotel Stay in Srinagar, Houseboat Stay in world famous Dal Lake, Meals with breakfast and Lunch or Dinner, 4 Days Cheapest Tour starts from Srinagar including full day tour of Srinagar city visit Mughal Gardens, Shankar Acharaya Temple, Tulip Garden, Cheshma Shahi, Shikara Ride in Dal Lake visit interiors of Dal Lake see floating vegetable gadens in lake, Kashmir budget tour packages will take you for full day tour to Pahalgam the valley of Shepherds where you will visit Aru, Betaab Valley and Pahalgam Recreational Park and much more without putting any strain on your pocket this cheapest tour package for Kashmir holds everything that you may get in a highly priced tour packages for Kashmir offered by many corporate travel agencies. These cheapest tour packages for Kashmir can be booked directly form Delhi, Mumbai, Haderabad, Kolkata, Bangalore, Tamil Nadu, Bangladesh, Malaysia With Air Fare or through Indian Railway. If you are arriving by air you will be met by our travel guide at Srinagar airport then you will check-in at hotel/deluxe houseboat. later you take a shikara ride on Dal Lake, where you visit the floating vegetable gardens. While riding the Shikara’s there are plenty of opportunities for bird watching with plentiful species including Kingfisher, Little Bittern, Common Pariah Kites, Grebe etc.You can take a walk around the Boulevard Road, which lies along the scenic Dal Lake. With every step along this beautiful road, discover the enchanting beauty of Dal Lake and the Zabarwan Mountain Range that serves as the backdrop of this road. Post this, By evening, return to the hotel/houseboat and after enjoying your dinner, spend the night with a deep slumber. Day two will be for sightseeing of Srinagar covering Mughal Gardens, built by Emperor Shahajehan you will visit the Shalimar Gardens, Nishat bagh & the Chashmashahi Gardens, known for its fountains and roses. Afternoon will be at your leisure for individual activities. Overnight in hotel/deluxe houseboat. The capital of Jammu and Kashmir and the largest city in the state, Srinagar (1,730m) is famous for its canals, houseboats and Mughal gardens . The city itself is quite unlike most other large Indian cities for here you are much more in Central Asia than on the sub continent. It's a city full of intriguing alleyways and curious buildings. A place where it's very easy to spend a few hours simply wandering - particularly along the old city streets near the Jhelum river. Srinagar is the summer capital of the state of Jammu and Kashmir and is the pride of the beautiful valley of Kashmir. Srinagar is famous for its lakes and the charming rows of houseboats floating on them. It is also known for traditional Kashmiri handicrafts and dry fruits. Srinagar is located in the western part of the state of Jammu and Kashmir, in the northern region of India. It is located in the Kashmir valley. River Jhelum passes through Srinagar city. Srinagar is 876 km north of Delhi. 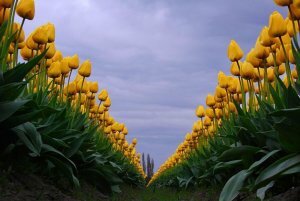 It is rightly called the Pride of the Kashmir Valley. Today you will go to Pahalgam (The valley of shepherds).The total distance is about 96 kms, will be covered in about 3 hours. En-route, visiting the saffron fields of pampore, Awantipura Ruins (1100 years old temple of Lord Vishnu built by the King Awantivarman), and enjoy the beautiful countryside.Drive and reach Pahalgam and enjoy Lidder stream. Later walk along pony trails with a magnificent view of the mountains. Drive back to Srinagar. Overnight in hotel/deluxe houseboat. 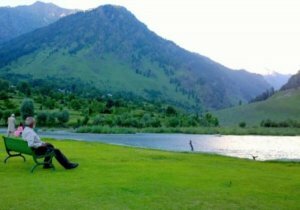 Pahalgam is famous for its scenic beauty and is the jewel of the picturesque Liddar valley located in the high Himalayas. It provides an ideal setting for activities like hiking, trekking, and fishing. It is also the starting point of the annual pilgrimage to the holy cave of Amarnath. Pahalgam is located in the western part of the state of Jammu and Kashmir, in the northern region of India. It is located at an altitude of 2130 m above sea level amidst the great Himalayan range. It is positioned beside the Liddar River, in the Liddar valley. Pahalgam is 95 km east of Srinagar. The weather in Pahalgam is alpine. Summers (April-June) are mild while winters (November-February) are cold. It experiences rains between July and September. It experiences heavy snowfall from December to February. The best time to visit Pahalgam is during the summers, between mid-April and mid-November. It can also be visited in July-August during the annual pilgrimage to the holy cave of Amarnath. The natural beauty of Pahalgam and the verdant Liddar valley attracts the traveler towards it. The sparkling water of River Liddar, which flows near Pahalgam, has a number of picnic spots around it. Pahalgam is a part of Asia's only saffron growing area. One can see the saffron plants in full bloom in the month of November. There are a number of hiking and trekking trails around Pahalgam. One can even explore these places on horseback. Pahalgam provides a panoramic view of the mighty Himalayan range with its lush green pine forests and snow-capped peaks. Adventure - The Liddar River is popular among travelers interested in angling. Stretches of this river are suitable for trout fishing. Travelers interested in fishing have to obtain a fishing license from the Directorate of Fisheries in Srinagar. Pahalgam is the starting point of a number of trekking and hiking trails to the surrounding mountains. Trekking around Pahalgam is exhilarating, as it takes the traveler through virgin pine forests, clear mountain streams, and meadows of wildflowers. Pahalgam does not have an airport or railway station. The nearest airport is at Srinagar, which is 95 km from Pahalgam. It is well connected by road with Srinagar. The travel time between the two is 2½ hours. Travelers can either use bus or taxi from Pahalgam to reach Srinagar. Tourists can hire guided ponies and horses to explore Pahalgam and the areas around it. Special Rates valid for this tour program only.